Published on 27 June 2012. I’ve had what’s now called the Kindle Keyboard since the day of its UK release – that is, just under two years. I’d never bothered following any of the hundreds of online guides on changing the screensavers until yesterday. Now I have a pretty collection of all sorts of pictures, including this favourite of the Unisphere in Flushing Meadows. I don’t know why I didn’t do it sooner! 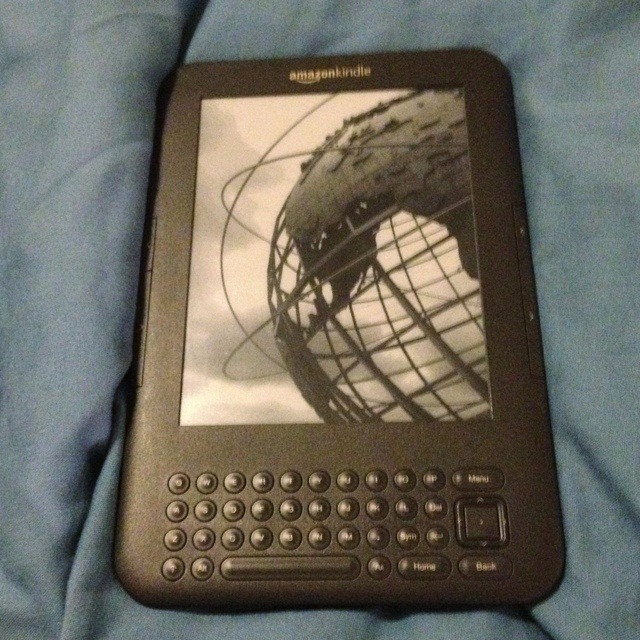 This 1,703rd post was filed under: Photo-a-day 2012, Amazon, Kindle, Unisphere.